Three-time champions Egypt are seeded to reclaim the Men’s WSF World Team Squash Championship title in France next month, according to the seedings and draw for the 25th staging of the biennial World Squash Federation event announced today. 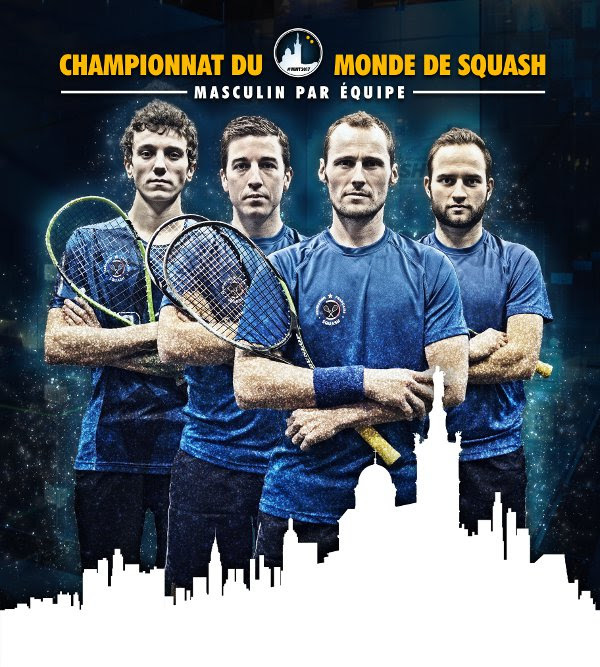 The 2017 championship will be held in Marseille, from 27 November to 3 December, at Modern Squash and Salle Vallier, where the final stages will be presented on an all-glass showcourt. It was at the previous championship – in Mulhouse, France – that England denied Egypt a third successive title with a surprise 2/1 victory in the final. With a squad boasting four players in the world top 11, including the fit again three-time world champion Ramy Ashour, Egypt are expected to face second seeds England – winners of the title five times since 1995 – in a repeat of the finals both in 2011 and 2013. The England line-up will include former world number ones Nick Matthew and James Willstrop, both making their seventh appearances in the championships. Hosts France, led by world No.1 Gregory Gaultier, are the third seeds and will be looking to confound the seedings by reaching the final for the third time – and win the title for a first time. Australia, winners of the title a record eight times since the inaugural championship in 1967, are the No.4 seeds. 24 nations will contest the 2017 championship in France, where both Iraq and Jamaica will be making their debuts in the event. After qualifying action in eight pools, the top two teams in each pool will progress to the last 16 knockout stage, while the third-placed teams will play for positions 17-24.